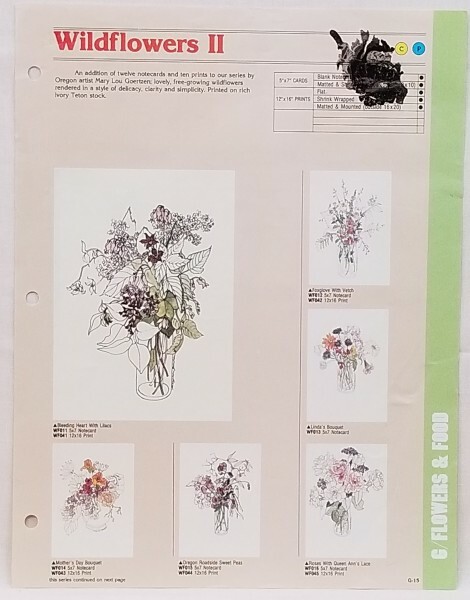 All artwork are originals posted to Mary Lou's website exclusively by friend and neighbor, Karl Logan of the Deadwood Trading Post. It is a privilege to work with Mary Lou and her family. She currently resides in Deadwood, Oregon. 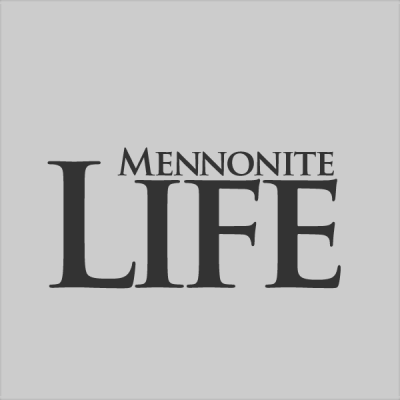 Among many other artistic endeavors, Mary Lou Goertzen is a painter, embroiderer, and most recently, a quilter. 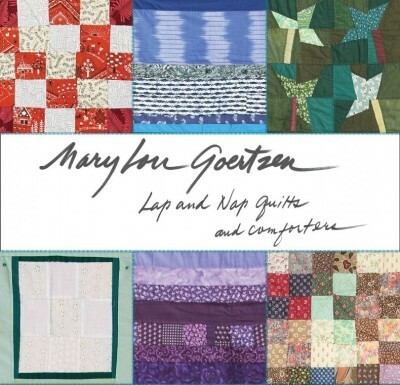 Mary Lou’s new book, Lap and Nap Quilts and Comforters, showcases 25 quilts she created from 1992 to 2013, along with handwritten notes about each. The quilts, visual interpretations of day-to-day life experiences and emotions, are often inspired by her connections to loved ones. 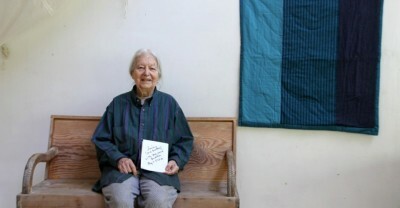 Many of the quilts were created as a means of sharing her feelings of grief and loss after the 2004 death of her husband Ernie, also an artist. 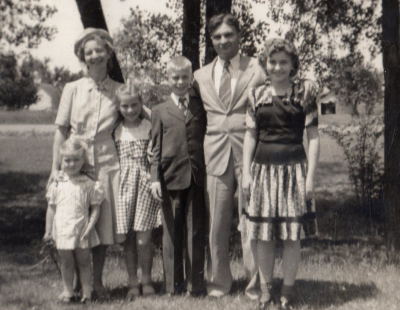 Mary Lou’s family in Kansas in 1944. Mary Lou is on the far right. 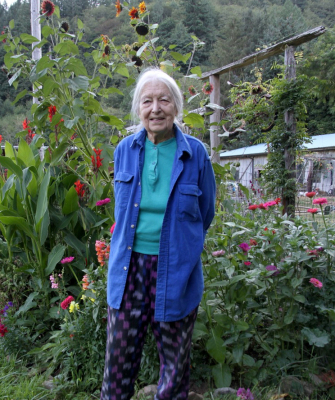 An 82-year-old Mennonite turned Berkeley artist shares her fascinating story as we cook an ancient family recipe. Read full story in Salon. 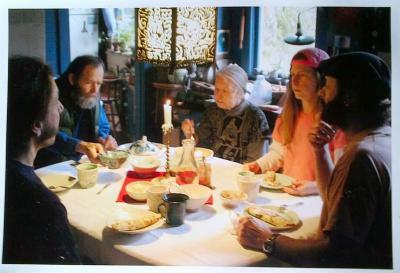 Earnie and Mary Lou Goertzen having Sunday Crepes with the family in their home redesigned from an old school house in Deadwood, Oregon. Mary Lou's parents were a huge part of her inspiration. 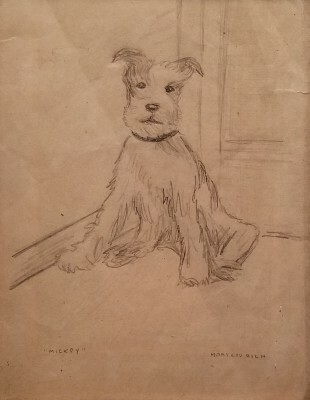 This drawing was framed and placed on the wall for everyone to enjoy, especially Mary Lou. At only 5 years old Mary Lou had talent all she needed was inspiration. Mary Lou continued to draw anything and everything. At school, Mary Lou was encouraged by her teacher who in turn encouraged Mary Lou's parents to provide Mary Lou with all the art supplies they could afford. The year was 1936. Mary Lou Rich was 7 years old. Mary Lou loved art and drew this picture for her friend at school. Over 80 years later her childhood friend, now nearing 90 years old, mailed this picture back to Mary Lou. Mary Lou remembers her art teacher encouraging her parents to keep Mary Lou in art supplies as this particular teacher saw great potential in Mary Lou. 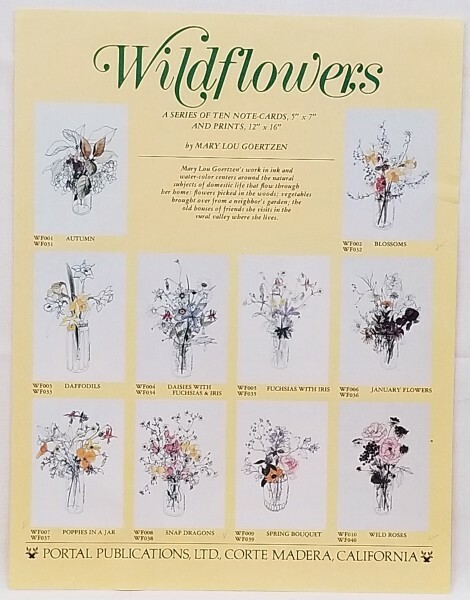 Mary Lou Rich, now Mary Lou Goertzen, has had a prolific career mastering her art and producing thousands of watercolors. 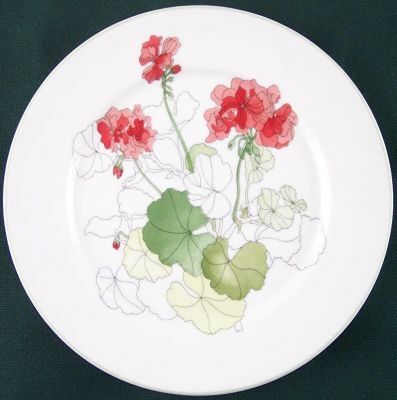 In addition to framing Mary Lou's masterful work, many of her watercolors can be enjoyed on Block Spal China, Porcelin tiles, and even tee shirts. 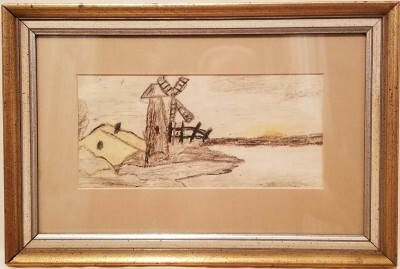 At 17 years old Mary Lou had become a very talented artist. 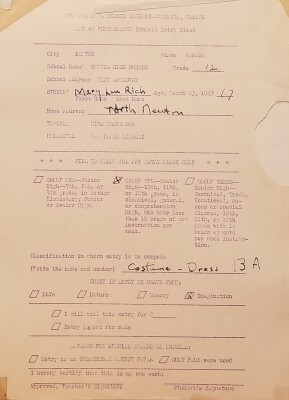 Hinkel, a local department store in Kansas, held design contests which Mary Lou was all to eager to enter. 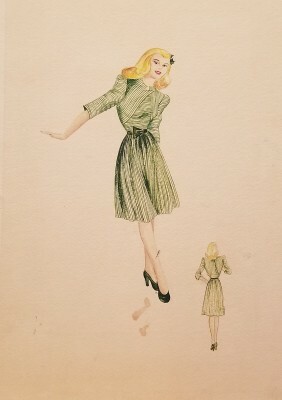 Mary Lou aspired to be a dress designer and won several years in a row. After a few years, Mary Lou decided not to enter these contests, as she no longer required affirmation of her skills. Mary Lou decided to apply her talent in other forms of art and we are glad she did. 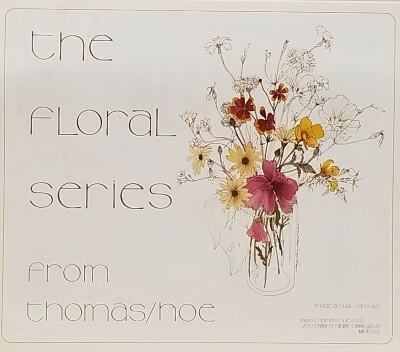 ​​Mary Lou Goertzen's original watercolors were finely crafted into prints by Thomas/Hoe. These paintings were printed on note cards, stationary, and wedding invitations. You can now enjoy Mary Lou's original paintings through this website. 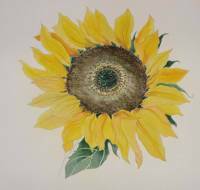 ​​Mary Lou Goertzen's watercolors were also finely crafted into prints by Portal Publications. These paintings grace the walls of of thousands worldwide. 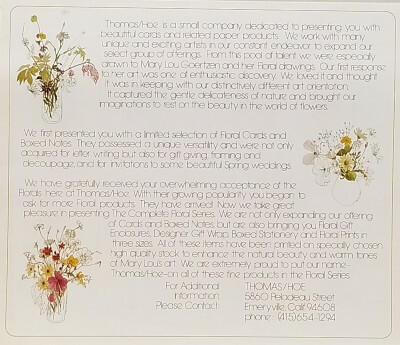 You can find Mary Lou's paintings on note cards, stationary, calendars, tee shirts, and Block Spal China. 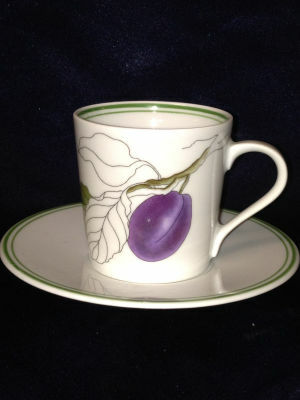 ​​Mary Lou Goertzen's watercolors can be also be enjoyed on Block Spal China. 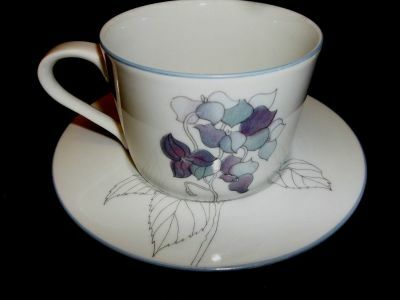 Jay Block approached Mary Lou in the 80's with a desire to produce fine china displaying her artwork. Mary Lou was not interested in traveling so Mr. Block came to visit Mary Lou in Deadwood, Oregon. Mary Lou spent countless hours developing prototypes for Jay Block. The results were extrordinary and now thousands enjoy Mary Lou's unique paintings with their daily meal.